Mobil Arapen RB 320 is a high performance long-life grease developed for the roller bearings of railroad car journals where no provision is provided for in-service re-lubrication. It is formulated with a mineral base fluid and a mixed lithium / calcium soap thickener. Mobil Arapen RB 320 grease has the high oxidation stability required to maintain good lubrication throughout extended periods of service or storage. It is highly resistant to chemical deterioration that might otherwise produce acids or deposits that are detrimental to long bearing life. 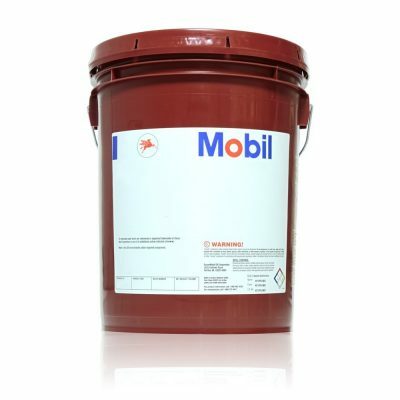 Mobil Arapen RB 320 grease has exceptional ability to withstand shear, i.e. retain consistency after prolonged working, as in the churning action of an anti-friction bearing. This grease has been shown to have little effect on seal materials. Largely because of its special calcium-lithium-soap base, Mobil Arapen RB 320 grease has a high resistance to structural change in the presence of water. It is also inhibited to give protection against rusting. Mobil Arapen RB 320 is fully approved against Specification M-942 of the Association of American Railroads for Journal Roller Bearings Grease for non-field lubricated bearing applications. It is used by major manufacturers of railroad journal bearings as the factory-fill lubricant. Mobil Arapen RB 320 has an application temperature range of -20º C to 120º C.